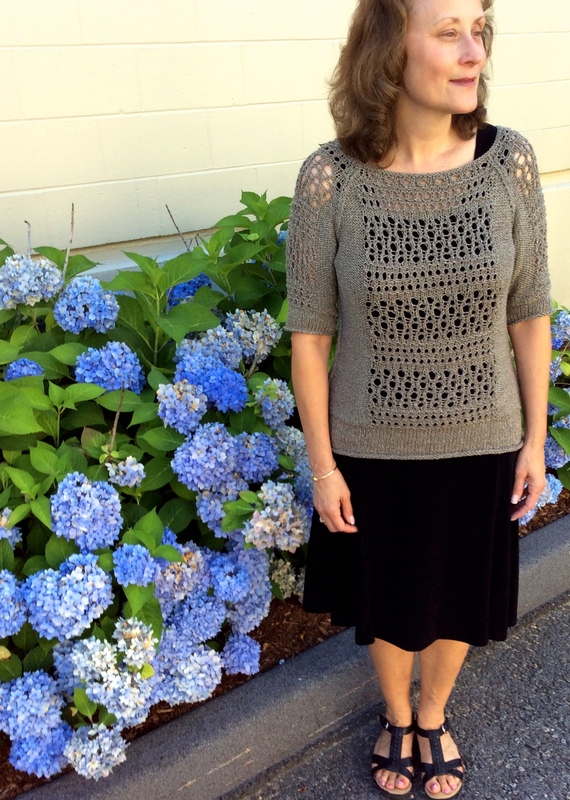 This Knitter’s Style features Kathie, a woman who make all the things happen here at Berroco. Berroco Fuji is a great yarn for summer knitting. This yarn feels both warm and cool at the same time, so it adds a nice layer for comfort without being heavy. 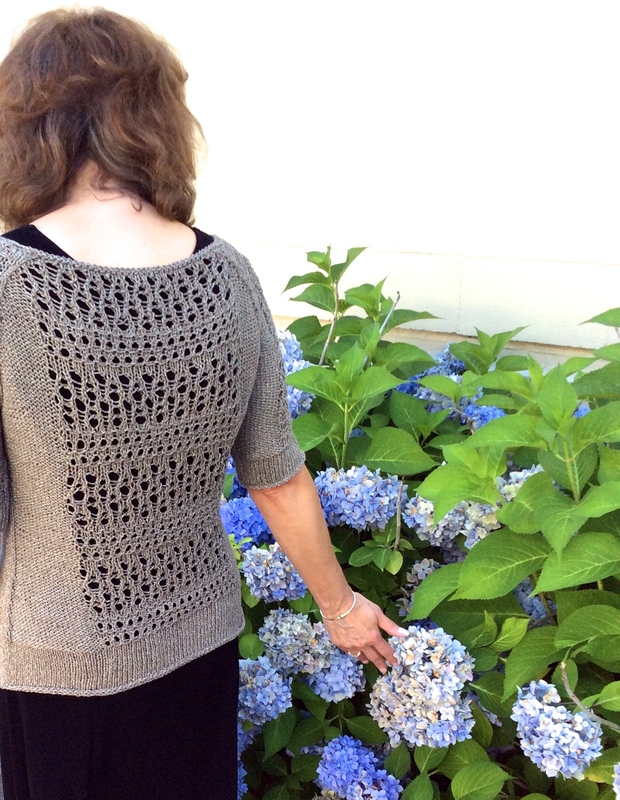 Kathie is wearing Tracery from Norah Gaughan vol. 12 knit in Fuji, in shade #9203 Sandy. She’s wearing it over a black tank dress with some cute sandals. The look is elegant and wear-anywhere classic. Then she topped if off with a free-spirited mani-pedi!